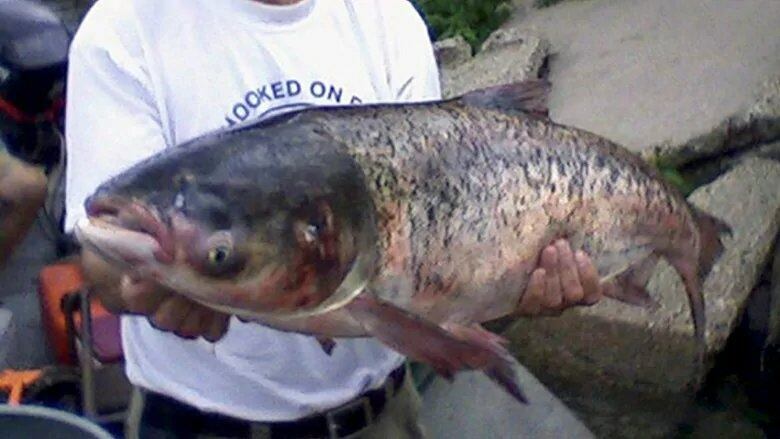 The U.S. Army Corps of Engineers this week released a final strategy plan for upgrading the Brandon Road Lock and Dam near Joliet, Ill., which experts consider a good location to block upstream movement of Asian carp that have infested the Mississippi and Illinois rivers. 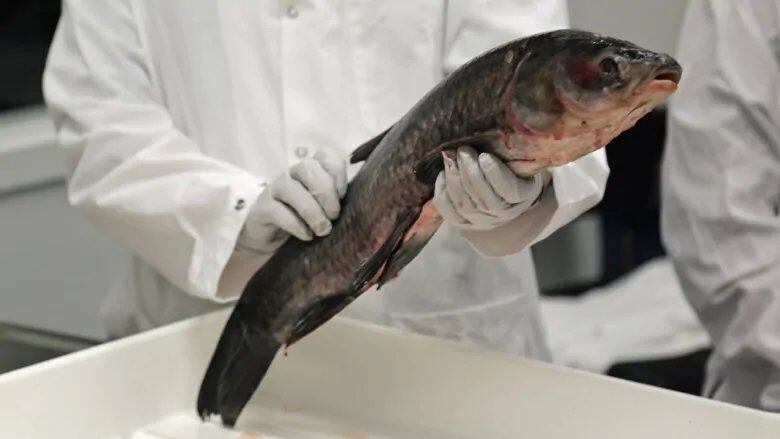 Scientists warn that if the voracious carp become established in the Great Lakes, they could out-compete native species and harm the region's $7-billion fishing industry. The new plan by the corps is similar to a draft from August 2017, but the estimated price tag has jumped from $275 million to nearly $778 million. "Basically during the past year, some additional engineering and design work changed the scope to bring it up to that current cost," Allen Marshall, spokesperson for the district office of the corps in Rock Island, Ill., said Wednesday. Under the plan, the channel would contain devices, including an electric barrier, noisemakers and an air bubble curtain to deter fish from swimming upstream and remove those that don't turn back. The adjacent lock would be retooled to flush away unwanted species floating on the water. Even though the price tag for the proposal has jumped, the Great Lakes Fishery Commission wants the project to move forward. "Without it, it would be a relatively straight shot into Lake Michigan. So yeah, let's get on with it," said Marc Gaden, communications director. "It's a $7 billion dollar fishery, let's keep that in mind." He said once the Asian carp get into the Great Lakes, they become a "permanent, destructive" addition to the ecosystem. "Now that the cost has nearly tripled to $778 million, we need to have a better understanding of how this project, with all the proposed components, actually reduces the risk of Asian carp and other invasive species getting into our Great Lakes in a fiscally responsible manner," said Ed Cross, spokesperson for the Illinois Department of Natural Resources. Tammy Newcomb, water policy adviser for the Michigan DNR, acknowledged feeling "sticker shock," but said it shouldn't derail the project. Illinois officials and business groups have questioned the need to drastically re-engineer the lock and dam, particularly if it would slow barge traffic on the busy commercial waterway. 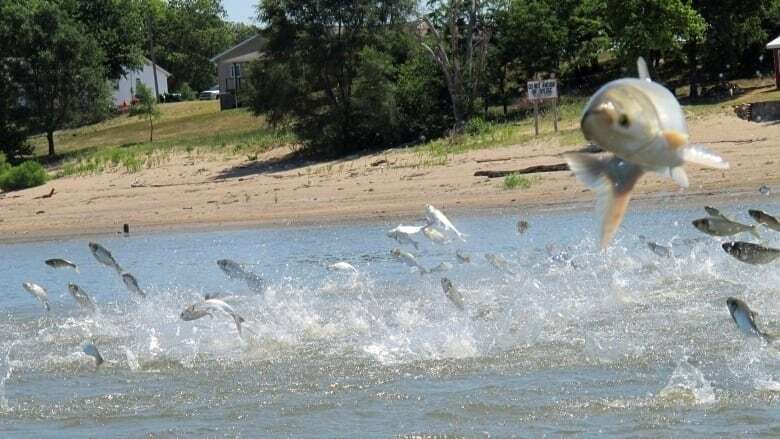 Lynn Muench, a senior vice-president of the American Waterways Operators, which represents barge companies, said the army corps report sidesteps whether Asian carp are likely to reach Lake Michigan in sufficient numbers to thrive. It also has no cost-benefit analysis of the proposed deterrents, she said. "How serious is the Trump administration about getting this project constructed if they haven't put the necessary funding in to keep it moving on schedule?" said Molly Flanagan, a vice-president of the Alliance for the Great Lakes.